The festivities began on Thursday evening January 31st, when over 170 players arrived at the tournament's Host Hotel, the Quality Inn and Suites Golf Resort in Naples FL. Tournament Directors Nancy Meyer and Cindy Eddleman addressed the group and then introduced Donna Donald, Atlantic South Regional Director, Greg Gott of Pickleball, Inc, The Gold Sponsor for the tournament and Tom Burkhart, Mid South Regional Director. Everyone purchased their raffle tickets for a Portable Net System, 2 Pickleball Paddles and a 2 Night Bed and Breakfast to be given away during the tournament. 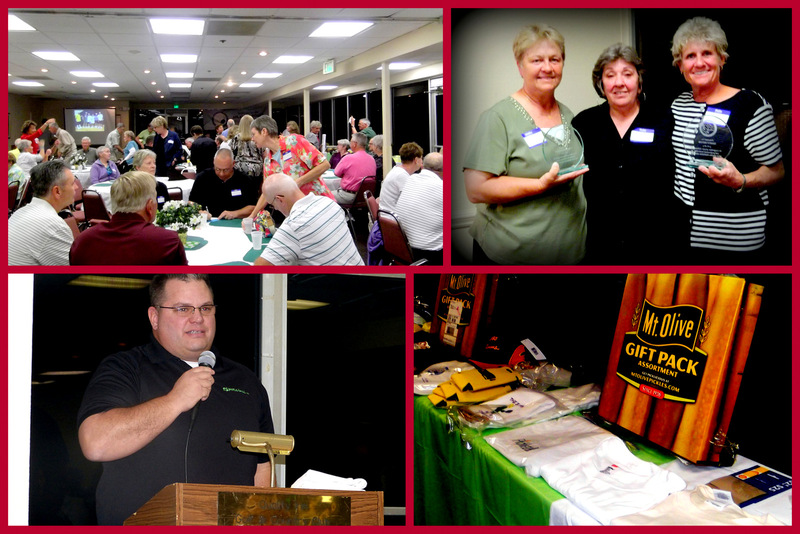 After an excellent buffet dinner more than 50 door prizes were given away. The highlight of the evening was the award presentation. Donna Donald presented the 2012 USAPA Atlantic South Region Pioneer Award to Nancy Meyer and Cindy Eddleman for their outstanding contributions to the growth and promotion of the pickleball across the state of Florida and beyond. The tournamant began on Friday morning Feb 1st at the East N aples Community Park. 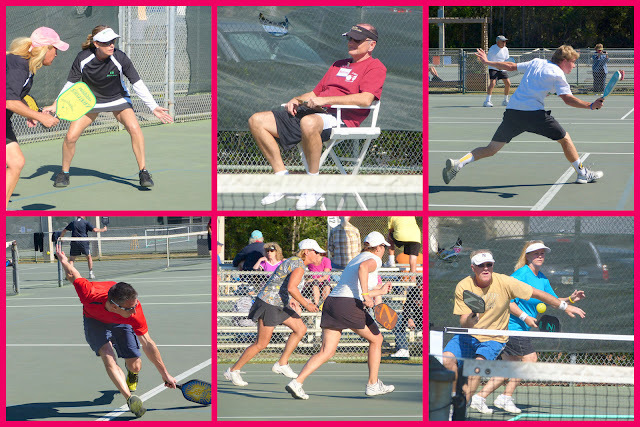 Sixteen lighted courts were filled with some thrilling competition for three days. Tournament directors, Nancy Meyer and Cindy Eddleman spent months in preparation for this significant milestone for our Region, and they should be commended for giving us an absolutely outstanding tournament. Special thanks to all of our Sponsors, Supporters and Volunteers that made this event possible. 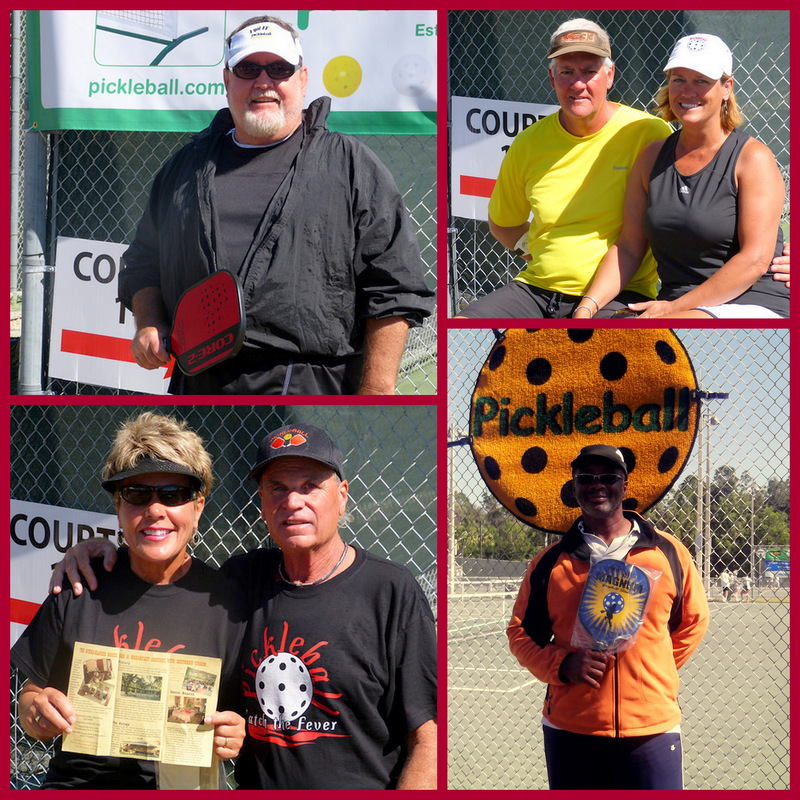 Nearly 250 players from 21 States across the country took to the courts for a double elimination competition in doubles, mixed doubles and singles play. We were recently notified by the USAPA that our tournament qualified for Tier 3, so points will be awarded to 1st, 2nd and 3rd place winners based on Tier 3 instead of Tier 4. The tournament was open to players 16 and older. Regional Directors and local ambassadors from across the country came with their players to represent their locations. We also welcomed the two-time National Pickleball Champion, Jennifer Lucore from California. She partnered with National Champion Phil Bagley from Florida in the mixed doubles making the 19 and over competition exceptionally exciting. Cathy Noble, with husband Daryl. Cathy won the USAPA Portable Net System. Here are some additional links that you need to check out! !